This article is about the annual pro-Palestinian day of protest. For the Israeli national holiday, see Jerusalem Day. Quds Day (Jerusalem Day; Quds is the Arabic name for Jerusalem), officially called International Quds Day (Persian: روز جهانی قدس‎), is an annual event held on the last Friday of Ramadan that was initiated by the Islamic Republic of Iran in 1979 to express support for the Palestinians and oppose Zionism and Israel. Nominally, it exists in opposition to the Jerusalem Day celebration instituted by Israel in May 1968, and which Knesset law changed into a national holiday in 1998. Quds Day is also held in several other countries, mainly in the Arab and Muslim world, with protests against Israel's occupation of East Jerusalem. Rallies are held in various cities by both Muslim and non-Muslim communities around the world. Critics of Quds Day argue that it is inherently anti-semitic. In Iran, the government sponsors and organizes the day's rallies, and its celebration in that country has had a long tradition of voicing anti-Semitic attacks. Quds Day events in Iran also feature demonstrations against other rivals of Iran, including the United States and Saudi Arabia. I invite Muslims all over the globe to consecrate the last Friday of the holy month of Ramadan as Al-Quds Day and to proclaim the international solidarity of Muslims in support of the legitimate rights of the Muslim people of Palestine. For many years, I have been notifying the Muslims of the danger posed by the usurper Israel which today has intensified its savage attacks against the Palestinian brothers and sisters, and which, in the south of Lebanon in particular, is continually bombing Palestinian homes in the hope of crushing the Palestinian struggle. I ask all the Muslims of the world and the Muslim governments to join together to sever the hand of this usurper and its supporters. I call on all the Muslims of the world to select as Al-Quds Day the last Friday in the holy month of Ramadan—which is itself a determining period and can also be the determiner of the Palestinian people's fate—and through a ceremony demonstrating the solidarity of Muslims world-wide, announce their support for the legitimate rights of the Muslim people. I ask God Almighty for the victory of the Muslims over the infidels. There have been recorded incidents of violence on Quds Day, including 28 people killed and 326 wounded by bombs in 1985 during the Iran-Iraq War. Iran celebrates the event characteristically by putting on public display poster images of the city of Jerusalem, thematic speeches, art exhibitions reflecting the issue, and folkloric events. In Lebanon, the Hezbollah organization marks the occasion by a substantive military parade organized for the last week of Ramadan. Since 1989, the Hashemite kingdom of Jordan observes the event by hosting academic conferences, whose venue from university to university varies each year. Arab societies generally pay the occasion lip service in order to make a show of solidarity with the cause of Palestinian aspirations for nationhood. Quds Day has actually become a day for protestors in Iran and in other societies "to attack the legitimacy of the state of Israel and threaten the United States". The day is also marked throughout Muslim and Arab countries. 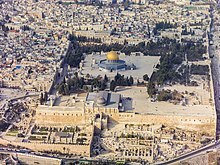 During the First Intifada in January 1988, the Jerusalem Committee of the Organisation of the Islamic Conference decided that Quds Day should be commemorated in public events throughout the Arab world. In countries with significant Shi'a populations, particularly Lebanon, where Hezbollah organizes Quds Day observances, there is significant attendance at the day's events. Events are also held in Iraq, the Palestinian Gaza Strip, and Syria. Hamas, and the Islamic Jihad Movement in Palestine endorse Quds Day, and hold ceremonies. Outside of the Middle East and the wider Arab World, Quds Day protests have taken place in the United Kingdom, Germany, Canada, Sweden, France, the United States, as well as some predominantly Muslim countries in east Asia. In Iran, the day's parades are sponsored and organized by the government. Events include mass marches and rallies. Senior Iranian leaders give fiery speeches condemning Israel, as well as the U.S. government. The crowds respond with chants of "Death to Israel", and "Death to America". According to Roger Howard, many Iranians under the age of 30 continue to participate in Quds Day events, though proportionately less than those on the streets. He adds that many Iranian students on campus say in private that the Arab–Israeli conflict has "nothing to do with us." Quds Day protests are observed throughout the Middle East and in Western Europe and the United States. Marches in London have drawn upwards of 3,000 people, while Berlin saw 1,600 protestors in 2018. Rallies were held in at least 18 cities across the United States in 2017. ^ a b c "Iran's 'Jerusalem Day': Behind the rallies and rhetoric". BBC Persian. August 1, 2013. "Iran warns West on al-Quds day". Al-Jazeera. September 26, 2008. Hundreds of thousands of Iranians rallied in cities across the country to protest against Israel's occupation and annexation of East Jerusalem. ^ Chambers, Bill (July 12, 2015). "Al-Quds Day Commemorated in Chicago". The Chicago Monitor. Retrieved August 3, 2015. ^ Sommerlad, Joe (June 8, 2018). "This is why people are burning effigies of Donald Trump in Iran today". The Independent. Retrieved June 9, 2018. ^ Katajun Amirpur, 'Iran’s Policy towards Jewish Iranians and the State of Israel. Is the Present Iranian State Islamofascist?,' Die Welt des Islams 52 (2012) 370-399 p.386. ^ AFP (June 23, 2017). "Chants against Israeli occupation in Palestine, Saudi and US as Iran marks Al Quds Day". Hindustan Times. Retrieved June 8, 2018. ^ Marjohn Sheikhi (June 8, 2018). "Today's Quds rallies in opposition of Israel, US, Saudi Arabia". Mehr News. Retrieved June 8, 2018. ^ Yitzhak Reiter (2008). Jerusalem and Its Role in Islamic Solidarity. Palgrave Macmillan. p. 88. ISBN 9780230607828. Khan, M.A. Muqtedar (2004). Jihad for Jerusalem: Identity and Strategy in International Relations. Google Books: Greenwood Publishing. p. 157. Retrieved September 19, 2009. Friedland, Roger; Richard Hecht (1996). To Rule Jerusalem. Google Books: University of California Press. p. 370. ^ Imam Khomeini's message announcing Quds Day, dated 7 August 1979 (16 Murdad 1358 AHS). Sahifa-y Nur, Vol. 8, p. 229. ^ Yitzhak Reiter, Jerusalem and Its Role in Islamic Solidarity, Springer, 2008 p.142. ^ Yitzhak Reiter (2008). Jerusalem and its role in Islamic solidarity. Palgrave Macmillan. p. 142. ISBN 9780230607828. ^ a b "Jerusalem Day". Intelligence and Terrorism Information Center. September 16, 2009. Archived from the original on September 23, 2009. Retrieved September 19, 2009. ^ Roger Howard, Iran in Crisis? : The Future of the Revolutionary Regime and the US Response, Zed Books (2004). ISBN 978-1-84277-475-5. p. 49. ^ Weinthal, Benjamin (June 9, 2018). "Heavy turnout at al-Quds rally in Berlin calls for Israel's destruction". The Jerusalem Post | JPost.com. Retrieved June 14, 2018. ^ Sommerlad, Joe (June 8, 2018). "This is why people are burning effigies of Donald Trump in Iran today". The Independent. Retrieved June 14, 2018. ^ "ADL Raises Concern About Potential For Hate Speech at Anti-Israel Protests Taking Place in 18 U.S. Cities". Anti-Defamation League. June 23, 2017. Retrieved June 14, 2018. Wikimedia Commons has media related to Quds Day.